For most people, vacationing at a resort entails tropical drinks, Aspen-level ski slopes, or, at the very least, Mickey Mouse ears. 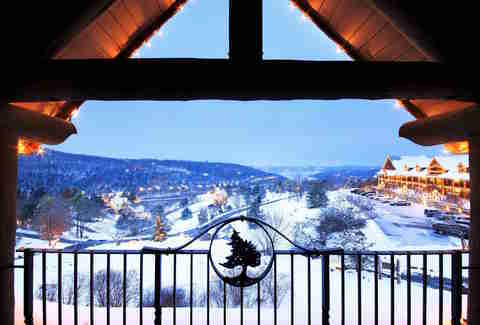 Not many of these particular getaways can be mimicked in the Midwest, though the region has its share of special lodgings with both warm-weather activities like golfing, hiking, and wine tasting, and even unparalleled fun in the dead of winter like zip-lining over ski slopes, floating down indoor lazy rivers, and steamy spa days. Even if you never venture far from the grounds, you'll know you've vacationed well by making the most of the fall and winter seasons at one of these one-stop weekend escapes. 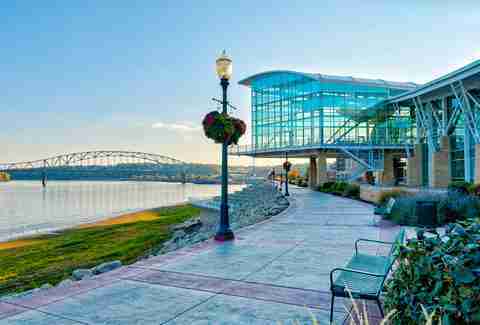 The lively resort hotel in the Port of Dubuque boasts stunning views of the historic Downtown area, bluffs, and the Mississippi River. Modern suites have floor-to-ceiling windows, whirlpool tubs, fireplaces, and wet bars. In addition to a huge arcade room deemed "The Cave," the riverside accommodations include a 25,000sqft indoor waterpark with water slides, tube rides, water cannons, a lazy river, and two giant hot tubs. Experience the "four story splash" when 350 gallons of water get dumped every eight minutes from the Huck Finn II Treehouse. Clean up for the little winery/eatery just up the walkway. 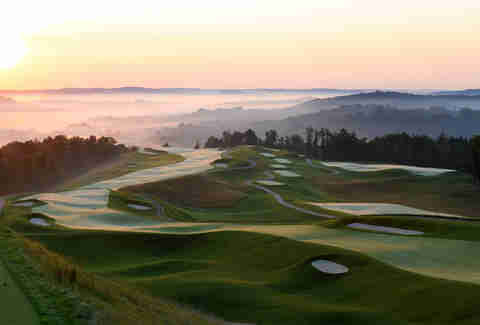 Its biggest draw might be three acclaimed 18-hole golf courses, but outdoor enthusiasts can also bike, hike, and horseback ride along the resort's 26 miles of scenic trails, boat or fish on Lake Galena, uncover terrain groomed for cross country skiing and sleigh rides, hit the sledding hill or skating pond, or even take in the sunrise or sunset over the sprawling grounds in a hot air balloon. Unwind at the Stonedrift Spa or stroll through the nearby town's charming shops before retreating to one of the complex's 300 villas or 80 inn rooms. 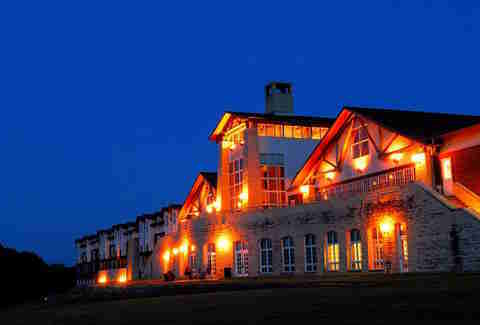 A $500 million renovation recently restored the century-old resort back into a luxury destination in southern Indiana. Its two grand hotels within the Hoosier National Forest -- the French Lick Springs Hotel and West Baden Springs Hotel, renowned for its ornate, 600ft glass dome -- feature three golf courses, indoor and outdoor pools, horse stable, world-class spas, high-end dining, and a casino. While it's home to Michigan's largest indoor waterpark, Avalanche Bay, resort guests can also look forward to zip-lining through the treetops, horseback riding, biking, golfing on two courses, outdoor swimming in heated pools, and weekend bonfires with s'mores in the fall. Scenic rides revert back into lifts for winter skiing and snowtubing, and a variety of terrain elements provide prime snowshoeing, snowmobiling, and ice skating opportunities. Choose from a range of accommodations, including rooms, suites, condos, cabins, and villas. Which Chicago Neighborhood Is Right for You? It might not house an entire indoor waterpark like some resorts, but guests will still leave this retreat house feeling positively refreshed. The idyllic wooded lodging offers non-denominational spiritual mentoring that'll steer you into a positive frame of mind. A bell rings three times a day for guided meditation sessions, chef-prepared gourmet meals are shared family-style, the cinema room comes stocked with inspirational films, yoga and massage rooms, and a chapel invite personal reflection, and picturesque trails welcome long, peaceful hikes. Established in 1888, this landmark hotel near Kansas City was rebuilt with native limestone in 1912 and recently restored for its centennial. Al Capone visited when it prospered as a speakeasy, and it once served as training grounds for boxer Jack Dempsey and the 1948 New York Giants football team. Now visitors can enjoy rooms equipped with free Wi-Fi and memory foam mattresses, as well as indoor and heated outdoor pools, which are open year-round. Guests should experience The Grotto, the spa's a modern take on a traditional Roman bath. 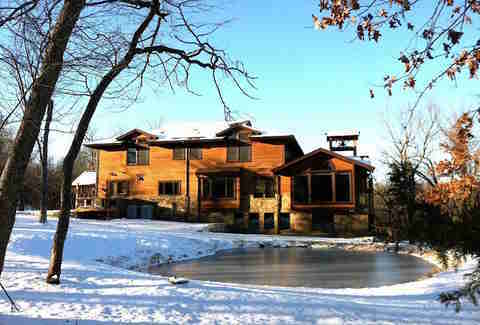 The contemporary cabins tucked within southern Missouri's woods are the perfect place to observe the transitioning fall leaves or a snow blanketed landscape. 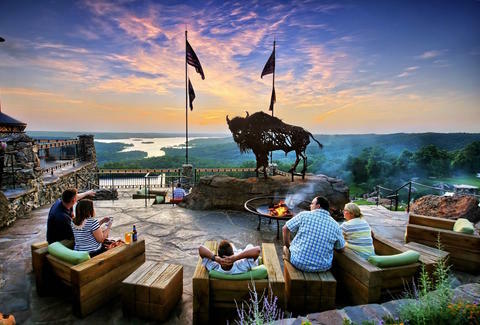 Located near Table Rock Lake, the luxe lodge touts views of the lake and Ozark Mountains with Branson's shopping and entertainment just 10 miles away. Water sports and deck BBQs are reason enough to visit in the summer, but the mild climate is still ideal for fly fishing at Dogwood Canyon, hiking, and golfing in January and February. The quieter off-season can bring snow and ice, however, making the spa and hot tubs choice spots at the expansive resort. 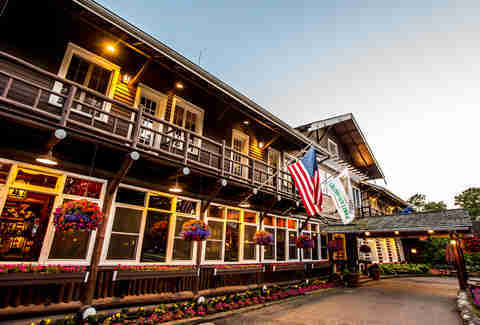 An assortment of townhomes, villas, cabins, and clubhouse suites line Gull Lake at this 100-year-old golf resort situated just outside Downtown Brainerd. Test your swing on three championship golf courses, try your hand at geocaching, or take a horse-drawn wagon ride before settling in for the night over a bonfire. Spa-going, skiing, snowmobiling, and ice fishing at one of the area's many lakes are among the plethora of winter activity options. 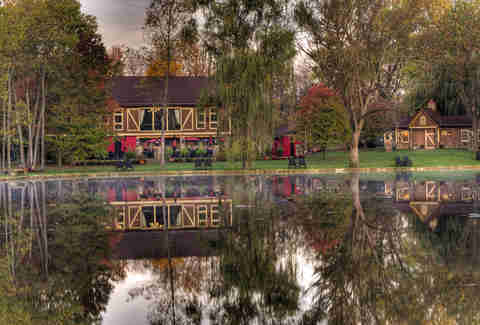 The expansive lodge's 140 fully renovated, rustic rooms showcase orchard or arboretum views. All fall season, the orchard is ripe for apple picking and hayrack rides, while a full calendar of events through winter includes a chance to shimmy your way up an old oak savanna tree, imbibe international beers at Oktoberfest, and hop on the popular trolley tour of Nebraska City's holiday lights. The on-site restaurant's nature-inspired menu focuses on local and sustainable ingredients, and guests can tour the adjacent greenhouse and tree farm. A cocktail lounge, full-service spa, sauna, and Olympic-sized indoor pool (with separate pool for kids) help make for a rejuvenating getaway. Whether you're enjoying the crisp autumn air on the patio or a meal inside the cozy bistro during a snowfall, simple pleasures like a glass of wine can be fully embraced at this vineyard. Wine novices and long-time enthusiasts alike can stimulate their palates through several wine tastings and tours, and even personalized, chef-guided culinary classes. Stucco walls, stone fireplaces, heated bath floors, and fresh-baked breakfast treats served in wooden boxes add to the charming villa accommodations. Nestled within Custer State Park's 71,000 acres of mountains and pine forests, four historic, stone-and-wood lodges, and a variety of upgraded cabins give nature enthusiasts quick access to hiking, horseback riding, safari Jeep tours, chuck wagon cookouts, and free-roaming bison. 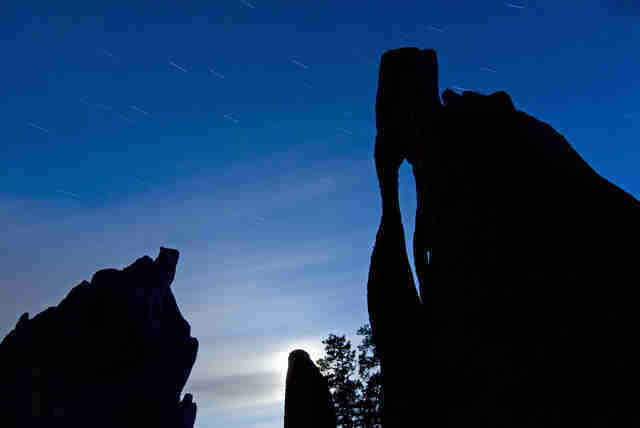 You won't have to leave the grounds for food with restaurants peppering the resort area, but you might want to hit the road to explore the natural Black Hills of South Dakota splendor around Sylvan Lake or along the winding Needles Highway -- 14 miles of National Scenic Byway with sharp turns, low tunnels, and impressive granite spires. Suite guests at the Victorian-style resort overlooking Elkhart Lake are privy to modern amenities like the acclaimed spa, an on-site culinary school, and indoor and outdoor pools, in addition to gas fireplaces, private balconies, and a beach on the lake. Quaint village streets and winding rural roads provide ample paths for biking, and more adventurous riders can hit the trails at Kettle Moraine State Forest. Some of the winter action includes ice fishing, dog sledding from The Siberian Outpost, and downhill skiing, snowboarding, and snowtubing at Sunburst Ski Area. This resort and spa knows how to pack in the entertainment in 1,300 acres, and it's an easy drive from Chicago or Milwaukee. 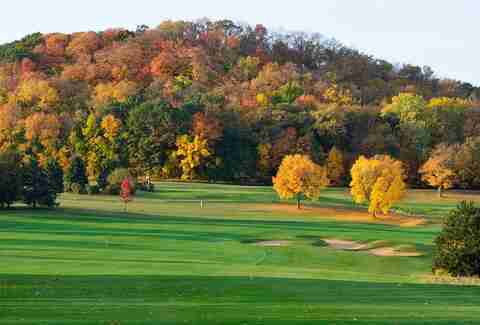 Behold the fall foliage via a horse drawn carriage or ride your own pony, or take it all in from the championship golf courses. Obstacle race fiends can dominate 20+ obstacles along five miles of snowy course in the Abominable Snow Race, then celebrate with beer, music, and a warm fire at the lodge. Those less keen on the challenge can snag passes to The Mountain Top for day/night skiing and snowboarding on 20 different runs, including all new six-acre Terrain Park. When you're tired of the snow, the Moose Mountain Falls waterpark, tennis courts, and climbing wall will be waiting indoors. 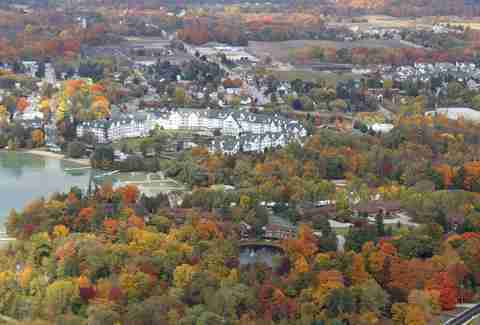 It's impossible to leave this five-star resort, starring the famed Kohler Waters Spa, without feeling rejuvenated. As the only AAA Five-Diamond resort hotel in the Midwest, it's one of the top well-being focused destinations in the nation. Whether you're dropping in for a soothing facial or immersing yourself in the spa's therapeutic water treatments all day, you'll end up melting into one of the enclosed rooftop deck's fireside lounge chairs. Seasonal outdoor adventures are just as invigorating; they range from trap shooting, canoeing, fishing, archery, and golfing in the autumn to pheasant hunting, snowshoeing, Bavarian curling, and ice bowling in the winter, and world-renowned artists regularly perform at the design and arts centers. Nicole Bruce is a contributing writer for Thrillist. She could really use a spa and wine weekend. Find her on Twitter at @nicoleabruce.